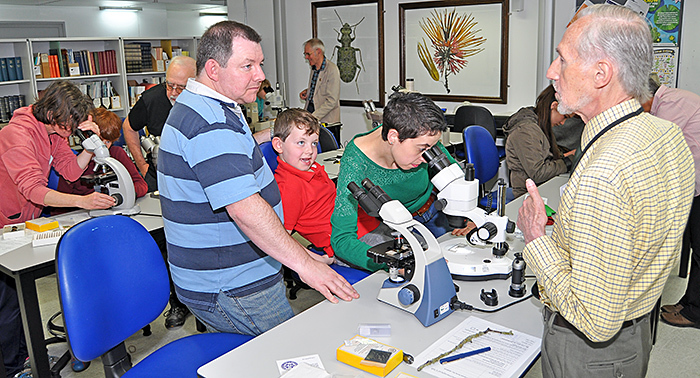 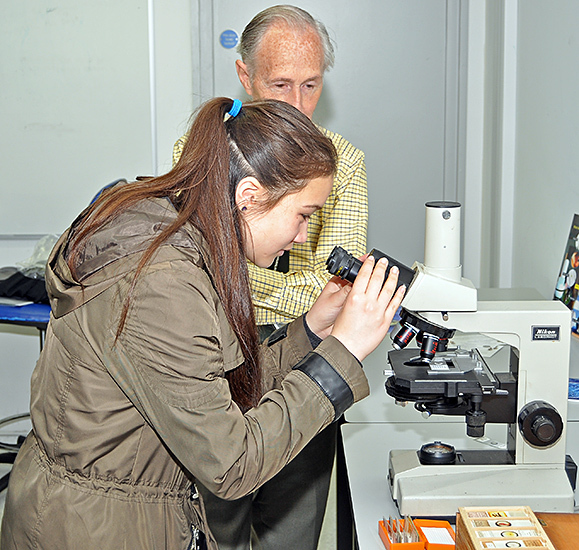 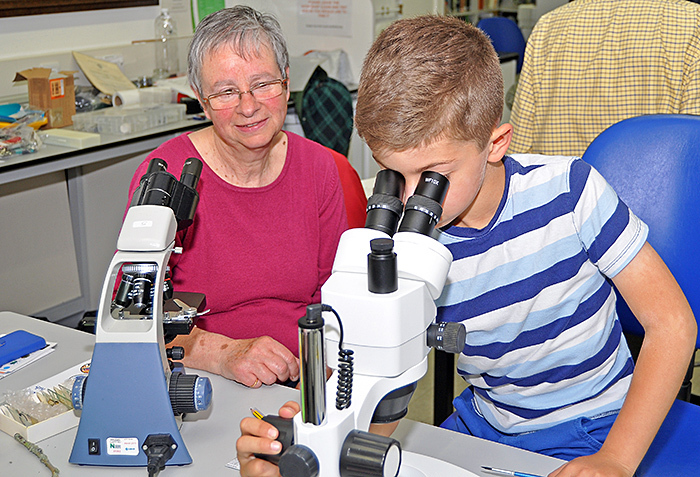 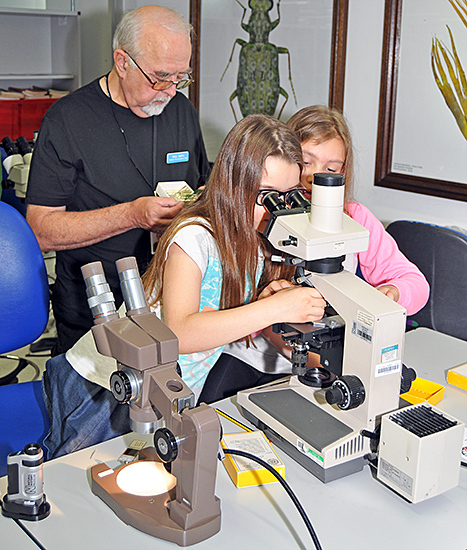 As part of the Club’s microscopy outreach programme, Alan Kime, Dennis Fullwood, Lewis Woolnough, Pam Hamer and Paul Smith ran three sessions in the Angela Marmont Centre for Members of the Natural History Museum. 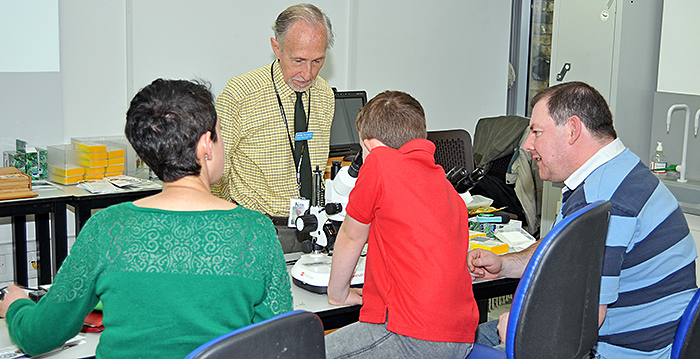 One session in the morning was for adults, followed by 2 sessions in the afternoon for families. 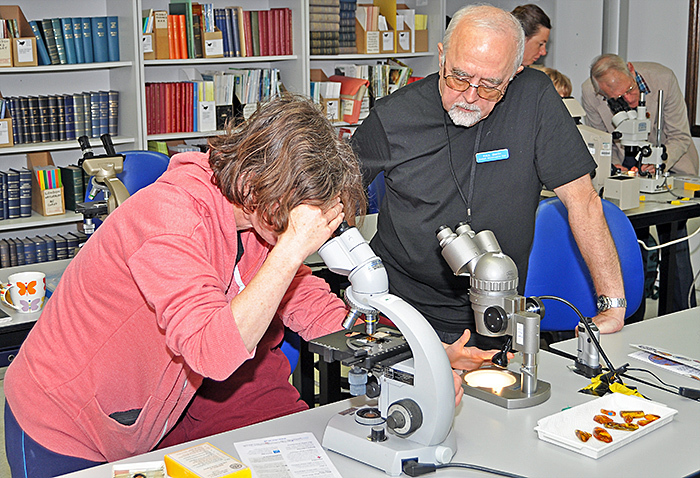 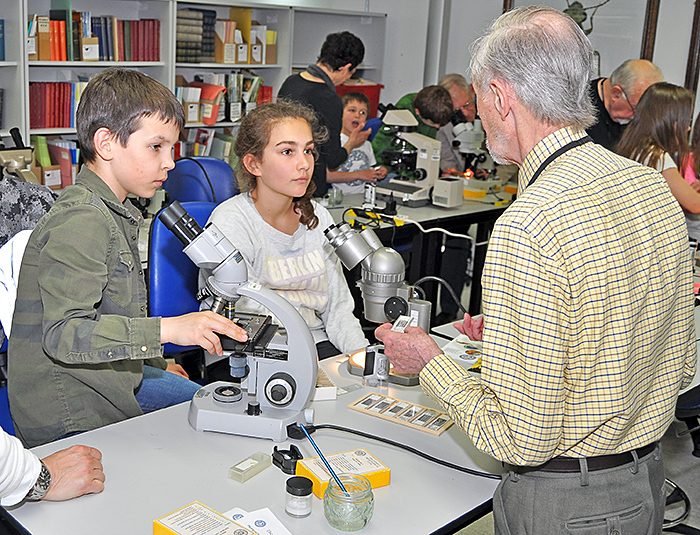 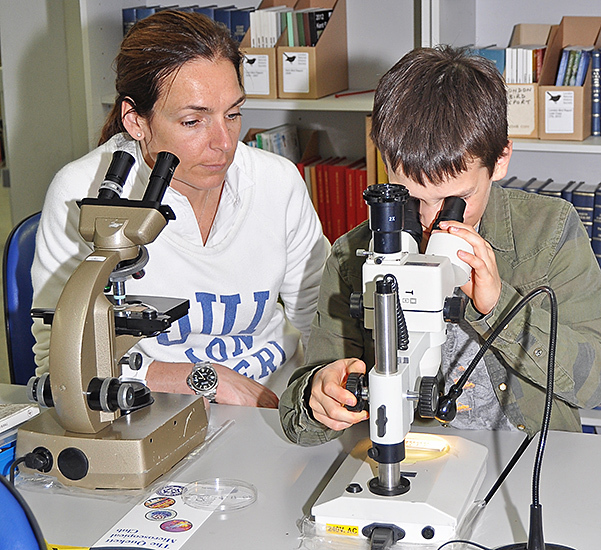 Participants were shown how to use stereomicroscopes and compound microscopes, using a variety of interesting specimens, and were then taught to make dry mounts of microfossils. 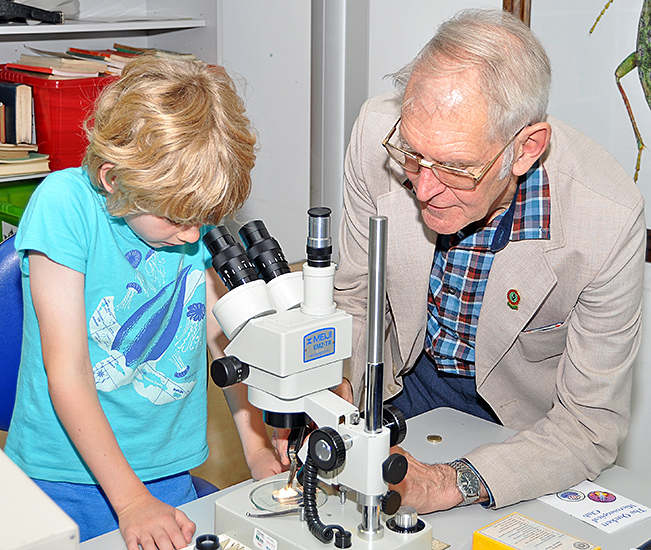 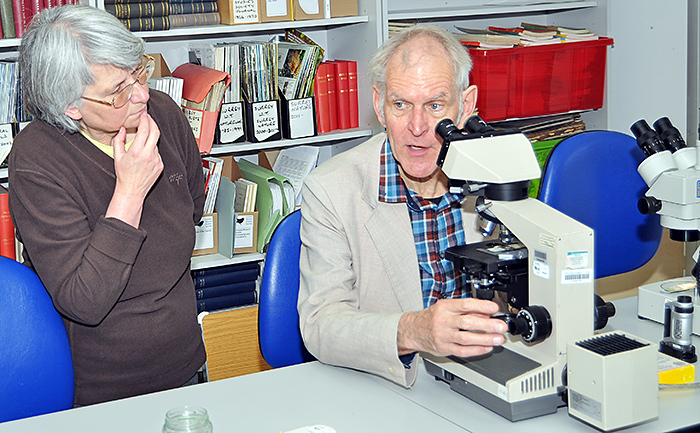 The microscopes were provided by the Club, the Museum and Dennis Fullwood. 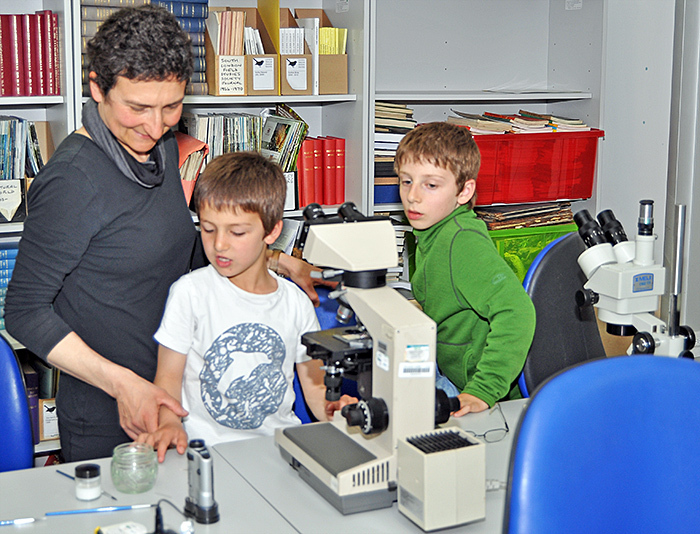 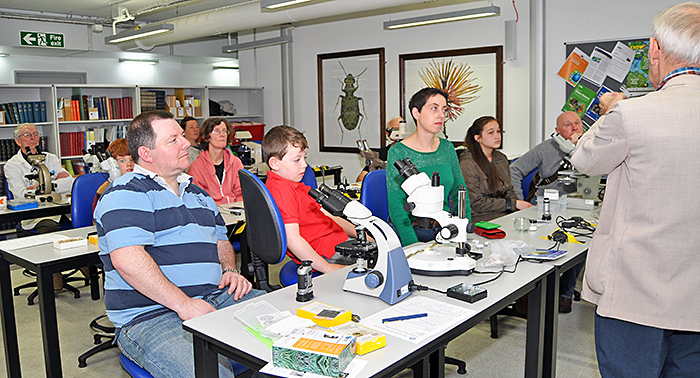 We hope to see some of the families again in the Natural History Museum for Young Scientists’ Day on Saturday 27th June 2015.